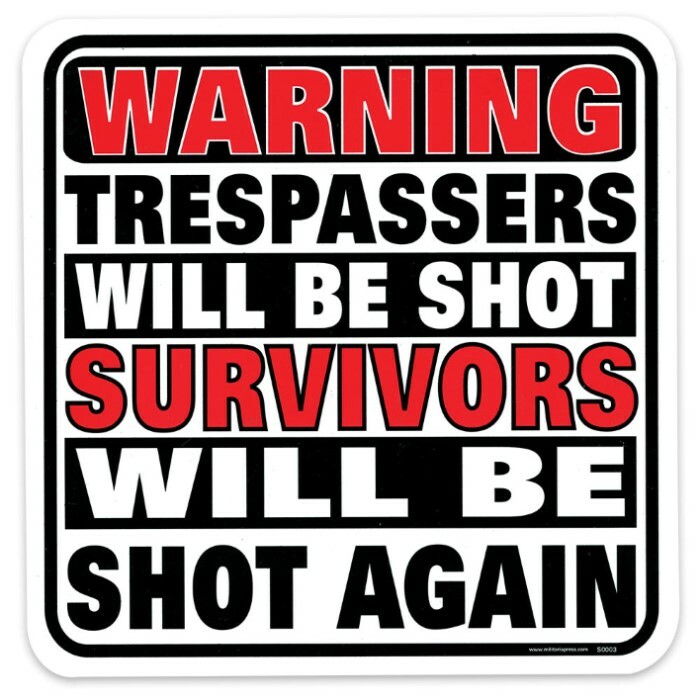 Warning Trespassers Will Be Shot Sign | BUDK.com - Knives & Swords At The Lowest Prices! What better place to let folks know what you support and how you feel than posting a sign at your home. Your beliefs will get maximum exposure with this 11x11, screen-printed on white polystyrene, sign. The Warning Trespassers Will Be Shot sign is printed with U.V. ink to withstand the elements.